It’s been a while since the sounds of London caused me to become excited, but two lads are currently making enough noise to bring London to the main stage again. Those two boys are Jack Penate and Jamie Treays (aka Jamie T). 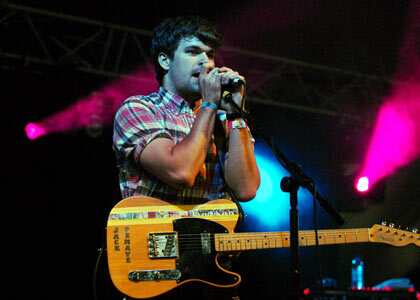 At another performance at the Oxford Zodiac, a fan stole Peñate’s distortion pedal. After he’d realised it was missing he proclaimed, “D’you know what? Whoever’s got it…keep it! Just make sure you play a Telecaster through it and not a Gibson!”. I have high hopes for Jack Peñate. If you manage to catch any clips of him playing live, you can see an unabashed enthusiasm and love for the performance in his eyes. The jangly, shimmering guitars; the breathless delivery; Jack Penate spits out rockabilly, ska-influenced, soulful pop like no one else’s business. Jack is distinctly London; with pointed, observational lyrics, this is a lad to look out for. 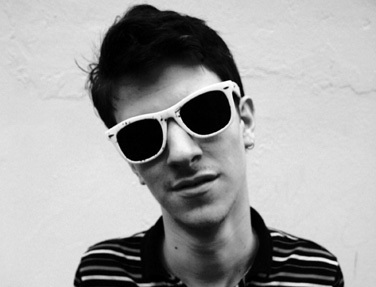 Jamie Treays, more commonly known as Jamie T, is one of those artists that rebels against being pigeonholed. I’ve heard him being compared to Mike Skinner from the Streets, Lily Allen, and even Billy Bragg (I’m the least certain about this last one… I’d throw in Toothpick from the USA, or even Shane MacGowan of the Pogues before Bragg!). Still, none of these labels quite suit him. There’s a bit of reggae in there; a large portion of rap; some rock; and some acoustic folk. The great thing about Jamie T, at least for me, is his ability to weave a story throughout his song. This is something that I feel justifies the comparisons with Skinner. At just 21 years of age, this kid has an amazing amount of potential… let’s see what becomes of him. The below tracks are taken from his “Panic Prevention ” album. Next Post Things I probably should have told you in 2007. I think they sound kinda same. But I like both of em.